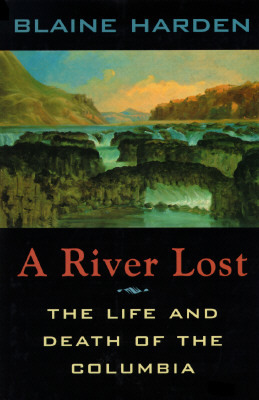 This is a book about how well-intentioned Americans dammed up the Columbia, "Great River of the West", fulfilling dreams of cheap electricity and gardens flourishing in the desert. It is also a narrative of exploitation: of Native Americans, of endangered salmon, of nuclear waste, and of a river - once wild - tamed to puddled remains. Harden's story is a journey of rediscovery. His home town, Moses Lake, Washington, once bone dry, could not have existed without gargantuan irrigation schemes. His father, a Depression migrant trained as a welder, helped build dams - including Grand Coulee - and later worked at the secret Hanford plutonium plant. Now he and his neighbors, who had thought of themselves as patriots, stood accused of killing the river. As Blaine Harden traveled the thousand miles of the Columbia - by barge, by car, and sometimes on foot - his own past seemed both foreign and familiar. He met rugged individualists (albeit with government subsidies), fervent environmentalists, and Native Americans reduced to consuming canned salmon. He also encountered a newly ascendant political force whose more subtle agenda was to preserve and conserve for its own pleasure and recreation.